As parents we try our best to make decisions that will empower and educate our children, bringing them into a brighter tomorrow. We teach them about kindness, we teach them about giving (clothing, toys and other everyday things less fortunate families), we teach them that not everyone has it as easy as they do, that they can do things to help. Even the smallest of gestures can bring big changes. Teaching our children about the world is important and teaching them how they can help bring a brighter future children everywhere is just as important. I introduced my daughter to the We Day/Me to We initiative two years ago. This initiative helps kids work on making the world a better place on a local and global scale. Since then, she has joined her school's Me to We club this year, helping make a difference in our local community. For example, for March they are focussed on Shepherds of Good Hope, making sandwiches for the hungry and collecting donated items etc. As for my younger two kids, I always make sure to try and include them in any sort of charity we may participate in. Even if its gathering toys and clothing for the less fortunate. 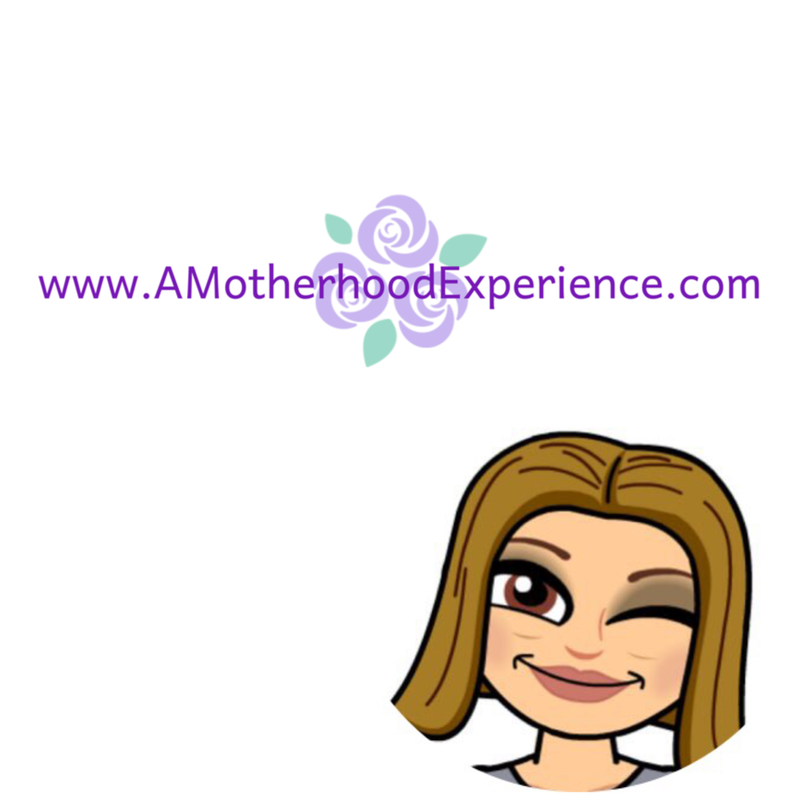 We don't need to save good gestures for the holiday season, we want to teach our kids that they need to happen as often as we can make them happen. In the past year, you may have seen some of us #PGMom's using our social media voices to help spread the word and awareness about the P&G and Walmart Cleanwater initiative. Lead by P&G Children's Safe Drinking Water (CSDW), this program helps provide clean drinking water to people in need through a water purifying technology developed by P&G. One small P&G Purification Packet can turn 10 litres of dirty and potentially deadly water into clean drinking water. Some lucky P&GMom's got to experience this first hand at a special lunch with special guest Jason Priestly! You can read about that here, on MyBitsAndBleeps blog! This initiative has been supported by Canadians since Spring 2014, raising awareness and more than 20 million days of clean water for families around the world. The initial goal is 25 million and we are so close! 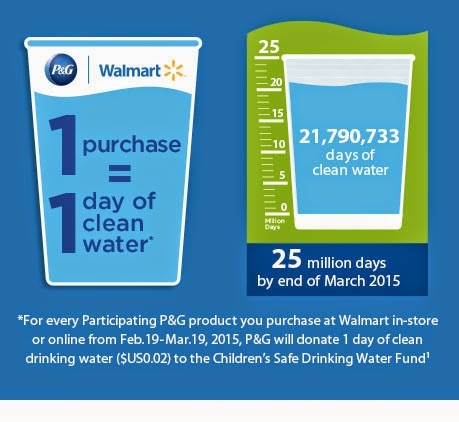 As we enter the last month of this initiative, P&G has pledged to donate one day of drinking water for each participating P&G product sold at Walmart.ca from February 19 to March 19, 2015. You can help make a difference just by purchasing items that are most likely already on your shopping list. Products from Tide, Dawn and Febreze are usually on our lists. They are the normal for us and by stocking up with them, we can make a difference and help give clean water to less fortunate families that need it. 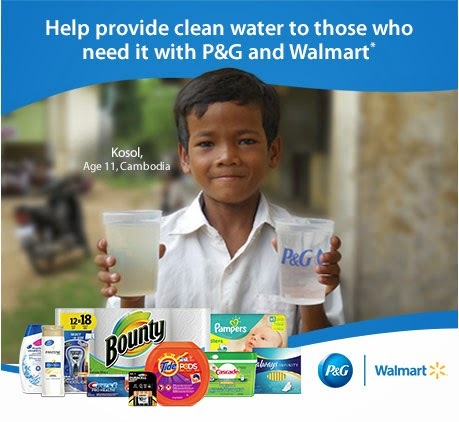 To learn more about the P&G and Walmart Clean Water Initiative #cleanwater, please click here! We want you to take the #cleanwater challenge and purchase participating P&G Products from now until March 19th! For now, you can start by entering to with the #PGMom #cleanwater giveaway! One lucky reader has the chance to win the following P&G products (valued at approximately $120*)! *Prices are at the sole discretion of the retailer. Canadians 18+ (excluding Quebec) can enter using the entry ballot below! One random winner will be drawn on March 2015 via provided email. Mandatory entry required to participate in bonus entries. By entering AME giveaways you understand your information is never shared unless your name is drawn winner in which case your information is shared with representatives of P&G for prizing purposes only. For general info about giveaways please check out the AME terms and conditions. Posted in participation with the #PGMom Ambassador program. Special perks are obtained as part of this program. Opinions and comments on this blog are those of the author. I try to show them how your kindness always come back to you. We are active with donating, and they learn to be thoughtful of others just by their day to day interactions. My son is too young to understand now, but he will know that he needs to be kind to others, help out those that need it and we will help out charities and volunteer. Donating unwanted good toys that they no longer play with and to respect your elders and always use manners!! Volunteer wherever you can and donate old toys and clothes together. We donate, and I have them help pick some of their toys that they don't play with as much to donate several times a year, plus we donate any clothing that is in good shape and of course to the food drives through their school and the church. We donate our used clothes and toys. My LO is only 4 months so we haven't had the chance to stress the importance of kindness but once he's old enough we will install the value of helping others. My Husband and I both volunteer and donate in our community when possible. This is an amazing campaign. I didn't realize just how fortunate we are and how much I took clean drinking water for granted! P&G is doing a wonderful thing! I talk to my kids about struggles that other people face around the world and how lucky we are to be born in Canada. We also make regular donations to the food bank and homeless shelters in our city. Sharing is important as well as being kind to others. Just teaching them to be thoughtful of others. I love to take my grandkids to different charities during the year to donate items. They, like me, enjoy giving to others, no matter what we give. My girls often come with me when I volunteer at the local homeless shelter. They learn about sharing and caring firsthand that way. We teach our kids to support the ones not feeling well and offer them help first. I tell my son that everyone he meets is important and kindness is needed by everyone! Teach them their manners and use them yourself. Teach them to be polite, respectful and kind to others. Teach them at a young age to always be kind to everyone and to give to others. I think its important not only to tell them but show them as well ! I like to show them how to donate either unused thing or money to those less fortunate. We help with a children's hospital fundraiser every year. We let Sophie help donate toys she no longer plays with every few months. Lead by example. Let them see you being kind, donating your time and money, and explain why. Encourage them to think of ideas to help others on their own. I think this is one time "monkey see monkey do" would be a very very good thing. Donating clothing, old toys and food is a great start and getting involved in the community is a good idea too. we go through the toys and clothes and donate. We donate to the food bank year round. We're going to start volunteering with her this Christmas. Kids learn by watching others; so by participating in community events, food drives, donating used items to others are all ways of showing them about giving and caring. We pick out toys we no longer use and give them to the good will for kids who dont have much! I would foster the spirit of kindness by leading by example. Donating food to the food bank, clothing to charity etc. We donate to our local food bank 4 times a year and the kids always help bake and decorate cookies to share with the seniors at the seniors centre. We always make sure they are part of the donation process. We donate to the food bank and this year we are taking the kids to volenteer at the food bank. I started doing volunteer work with my son along when he was 10 years old. I think volunteering is an important way to teach children kindness and compassion for others. I love to bring my boys to a local food fundraiser to donate cans. I let them pick out some cans from our pantry and carry them to the donation bins and have them put them in there. Volunteer as a family. Let kids help buy groceries for the food bank. They donate their gently used stuff. Marvel Universe LIVE is coming to OTTAWA! BLACKS Shoebox Direct - What You Get! Put the best of P&G to the test! Join us for the #BConnectedConf Twitter Party! Happy 7th birthday to our little super hero! Barbie wants you to #BeSuper! Easter fun with Treehouse TV favourites!